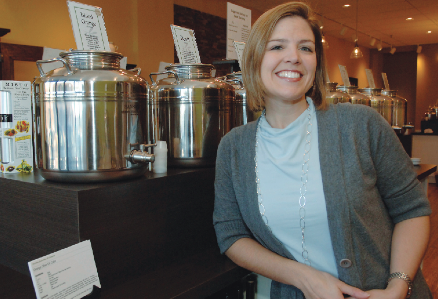 Natalie Jaeger opened her gourmet olive oil shop in the Village at Mendota Heights in 2009, during the depths of the Great Recession. She now says that she’s glad that the Olive Grove had nowhere to go but up. The Olive Grove offers a delicious new concept in Mendota Heights. By Renee C.F. Miller, published in the St. Paul Voice in January, 2010. MENDOTA HEIGHTS, Minn. – Welcome to Olive Grove…well, no, not the kind with trees. 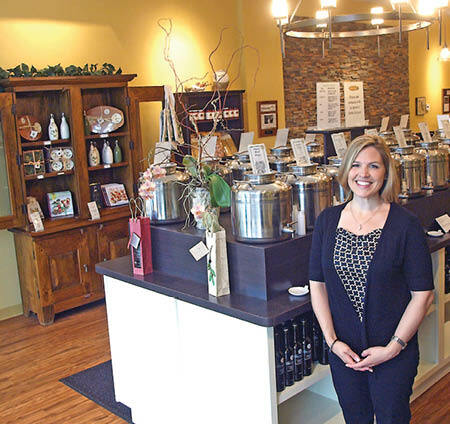 The Olive Grove is a new store that specializes in extra virgin olive oils, specialty oils and balsamic vinegars from around the world.